A chef found himself in the dock after assaulting a customer while visiting his old workplace. 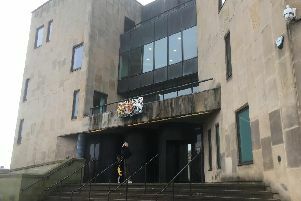 Wigan magistrates heard 21-year-old Bradley Downes went to McDonald’s, on Parsonage Retail Park in Leigh, to get something to eat after drinking alcohol. He had worked there for two and a half years until leaving to take up a post as an apprentice chef at nearby pub The Parsonage. Downes started making offensive comments towards customer Mark Machen before an altercation developed in the foyer. Katie Beattie, prosecuting, said witnesses saw Downes push and punch Mr Machen, causing him to fall to the floor. Downes walked back to the tills, but then returned to his victim and continued to attack him. Police were called and Downes admitted what he had done. He said he did not know Mr Machen and said something to him but did not remember what. Downes, of Maple Crescent, Westleigh, pleaded guilty to assault by beating when he went before the court. Louise Barrow, defending, said Downes was diagnosed with ADHD at the age of 11, but was told he had to stop taking medication when he was 19 and his condition became worse after drinking. Justices imposed a community order, with requirements that Downes takes part in an accredited programme for 22 days and does 40 hours of unpaid work. He must pay £100 compensation, £85 victim surcharge and £85 prosecution costs.